In 2013, during the exceptionally dry fire season in the rural towns scattered across the iconic rolling hills that sit outside of Sydney, 200 hundred homes were lost to a bush fire that tore through their community. Stories of the heroism and hard work of the emergency responders and volunteers were broadcast all over the news. These efforts were multiplied by a wide spread of organisations donating and sending volunteers. But it was clear to many that these efforts to help could be made more affective and less painful next time with a little brainstorming and work. First Stop is an ongoing project that helps address some of these pain points. At its inception at the Sydney Winter Hackathon 2014 the team developed a registration system using a barcode printing application. At the Sydney Summer Hackathon 2014 the team added the capability of adding extra data fields to suit different agencies. Apidae is a small communications social enterprise which designs and implements strategic communications to connect knowledge, ideas and people to create sustainable change. Through beautiful videos, digital reporting, and mobile applications, they provide tools to connect organisations with their stakeholders and help share their sustainability stories. They worked with RHoK at the Winter 2014 Hackathon in Melbourne to develop a storytelling app to allow communities in the Pacific region communicate more effectively with large aid organisations. Unfortunately the app didn't make it out of the prototyping stage. However, Apidae was able to show the app off to a number of large aid organisations who expressed an interest in developing similar projects in the future. StartOut is a non-profit that promotes equality and combats discrimination in the business world through economic empowerment. It's dedicated to creating great business leaders by fostering LGBT entrepreneurship. They work with their community to foster business success, pride, personal empowerment, and a shared purpose to give back and inspire the next generation of LGBT entrepreneurs. StartOut produces over 60 events nationwide to a growing network of 12,000+ entrepreneurs, technologists, investors and service providers. At the 2014 Melbourne Winter Hackathon, they worked with RHoK to develop an app for mentoring LGBT teens in remote rural areas. The idea behind the app was to allow older LGBT individuals connect with younger ones in order to support them in areas where there is still discrimination and intolerance. The People’s Solar is a platform for delivering community-owned solar power. They are passionate about delivering social impact and positive outcomes for communities, with a focus on solar projects that address social inequality by creating opportunity, and that address food security concerns through capacity building. They love the local, clean energy economy, and want you to be part of it. 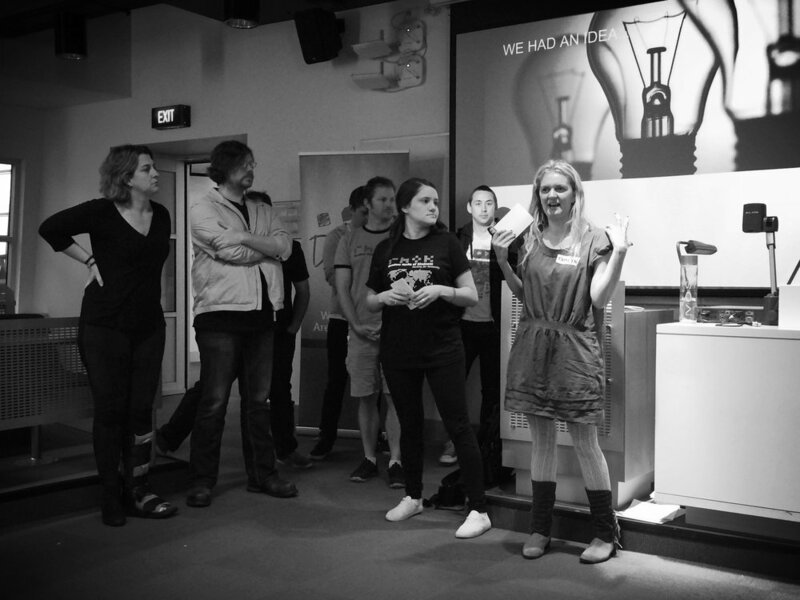 At the 2014 Melbourne Winter Hackathon they worked with RHoK to develop a prototype iPad application that could be used in schools and community centres to demonstrate energy savings from solar panels. The app was designed to be user friendly for kids aged 5 and above, and to help them understand how solar energy helped make the planet a better place.